I woke up at seven as all other mornings. The sun was shining. It felt nice to pack down and leave the not so nice camping. The track went along side the lake, Lago di Castello. 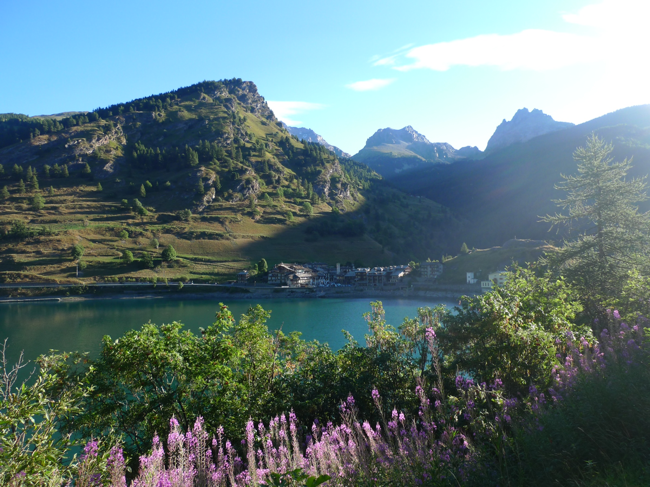 I reached the little sweet village Castello at the end of the lake. From there I started to climb upwards. 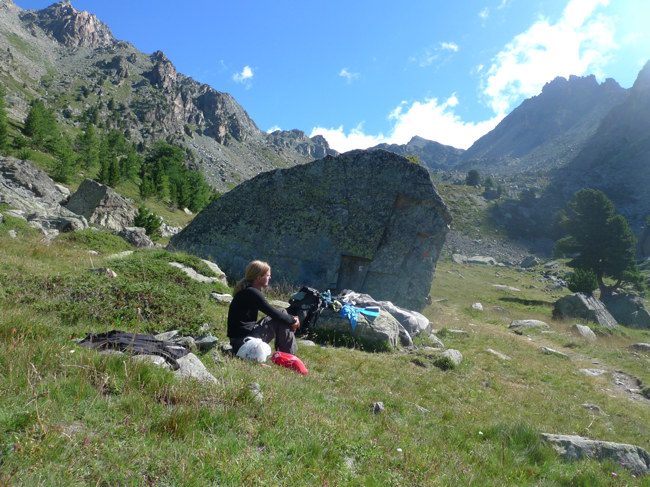 I meet many others on the track, mostly day hikers, popular as it is in the area around Monviso with many trails around it. I meet a sweet old couple, that i talked a little bit with, they where going to Rifuge Q. Sella as also was my plan. They had big backpacks, looked heavy and she was wearing a dune jacket the first part, I assume they where carrying a lot of clothes. I came up to a open flat area. 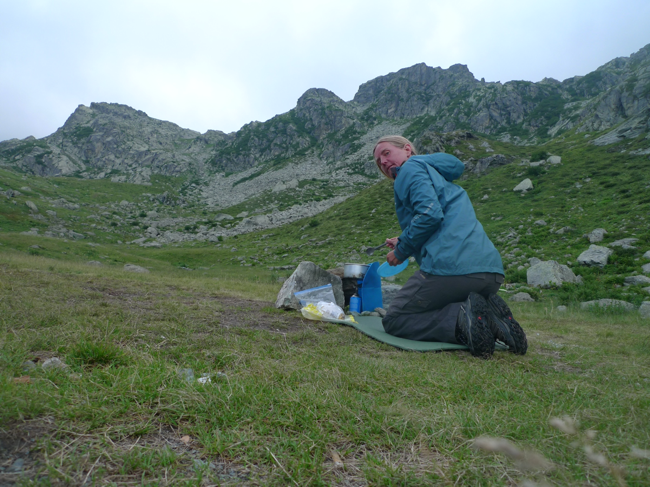 I decided to take break, to eat something and dry the tent. 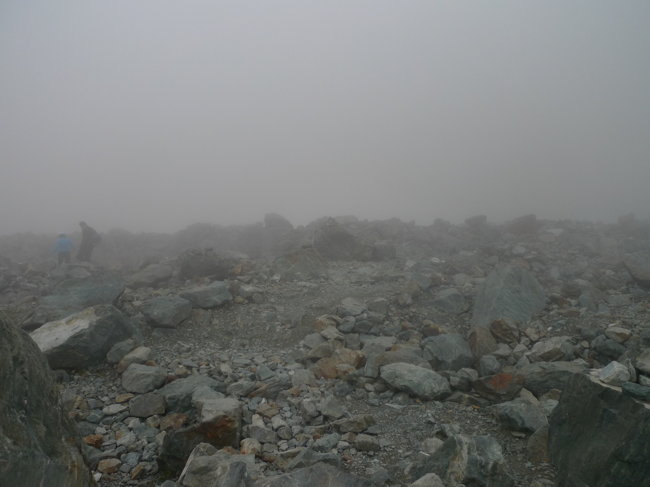 After an hour I continued, the climb was steep and very stony. 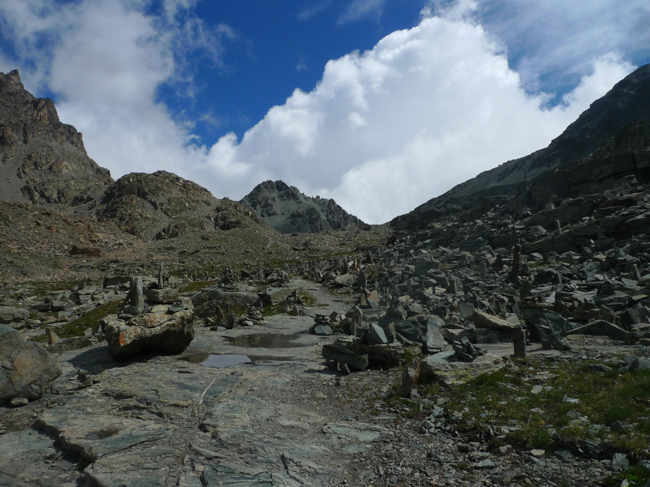 I came up to a small lake, it was still very stony and rocky, people had made a habit to play with the stones, it made the place look even more strange. I took some photos with my pinhole camera. 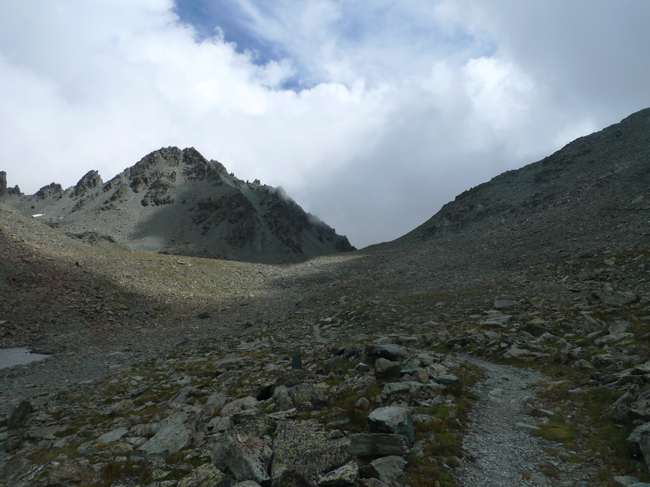 The walk from here to the Passo Gallarina was really nice, almost no green, just stones, very rough. 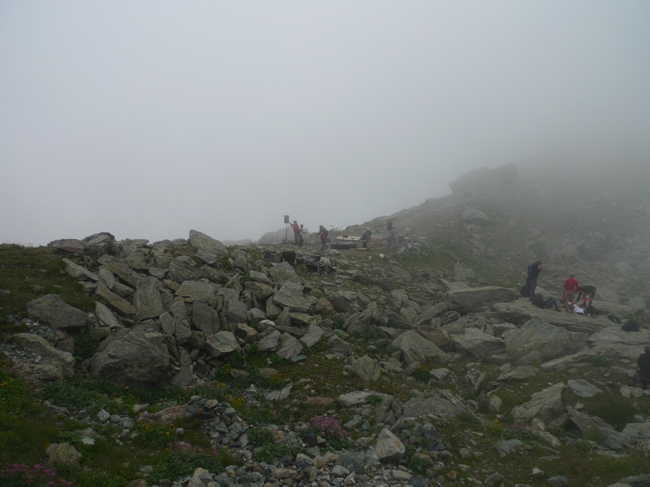 At the Passo it started to be misty, from a distance I could hear some music, sounded like someone had a party or a big concert. It felt very wired and disturbing. I realized that the sound came from the Rifuge I was heading for. I decided to pass it as it still was early and the place felt very crowded. 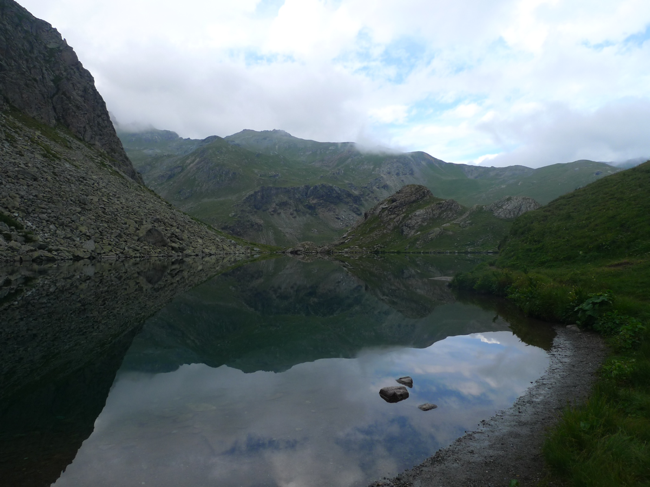 It was very misty so I could not see Monviso but it still was a very nice walk. A bit crowded with people from the concert heading down. I pasted a nice lake and decided to stay the night there. I made some pasta with pesto. Had an early evening as it was a bit cold, but it also started to rain a little bit, there was also some thunder, but further away. In the middle of the night I woke up and it started to rain more heavily with a strong wind. Thankfully it did not last long. I went outside and made sure the tent was ok, I have used the tent many times before but never in this kind of weather. I adjust some parts, went to bed and went back to sleep.